For every trip to a national or state park by way of a ReachNow car between May 18 and September 3, the company will donate $30 to the Washington or Oregon State Parks Foundations, up to a total donation of $25,000. Photo via ReachNow. ReachNow, the mobility services division of the BMW Group, is helping the more than 85,000 members of its free-floating carshare service see the best of the outdoors, while also contributing to the preservation of America’s natural treasures, with its "Wild Within Reach" campaign, the company announced. ReachNow members in Oregon and Washington are eligible for a $10 promo code for taking a trip to stake parks by sharing a photo of their trip on Instagram, tagging @reachnow, and including the hashtag #WildWithinReach. 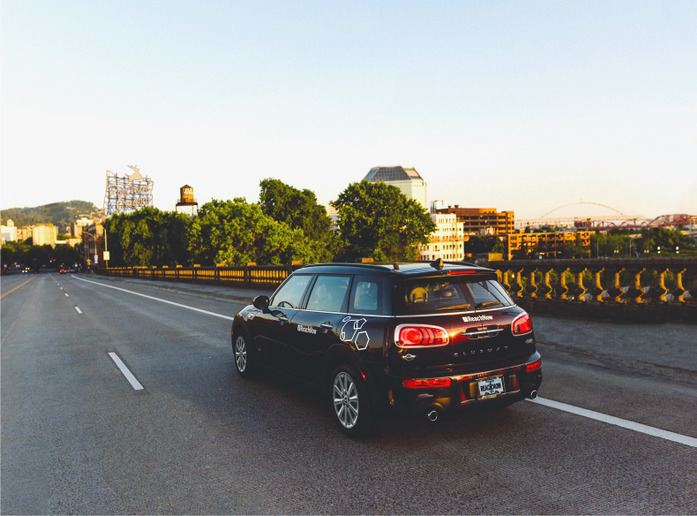 Additionally, BMW 3-Series and BMW X1 SAV vehicles in both the Seattle and Oregon fleets will be outfitted with respective state park passes by Memorial Day weekend. "With more and more people in urban areas forgoing car ownership to avoid traffic and parking headaches, getting outside the city has become a greater challenge," said Laura Gonia, head of marketing for ReachNow, in a statement. "We’re thrilled to take a more active role in getting people outdoors while also helping to preserve our state parks for generations to come." Additionally, for every trip to a national or state park by way of a ReachNow car between May 18 and September 3, the company will donate $30 to the Washington or Oregon State Parks Foundations, up to a total donation of $25,000. Similarly, the Oregon State Parks is working with ZipCar to include passes for its members.